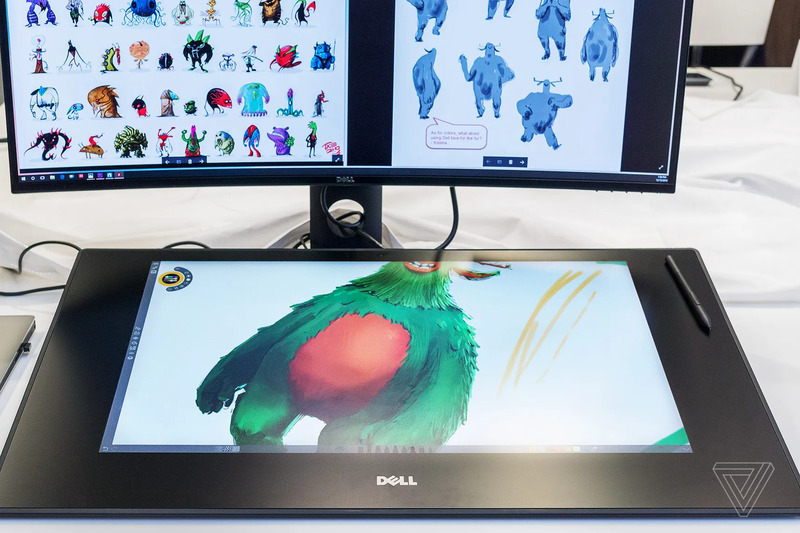 Dell’s Canvas: Artists rejoice! The Dell Canvas lets you upgrade from the iPad Pro to a giant 27-inch (2,560×1,440 resolution) touchscreen display. Plus, the pen display uses Wacom EMR technology and will ship with a Wacom driver. At $1800, it’s “the world’s first horizontal smart workspace of its kind with touch, totem and pen capabilities,” said the company. A magnetic strip ensures you don’t lose stylus, while a puck-like controller pulls up a circular menu that can be used for controlling Windows when placed on the screen. “Dell’s peripheral is called the Totem – as opposed to Microsoft’s Dial – but it works the same, tapping into the very same code so that any app that integrates with the Dial will integrate with the Totem as well. The downside is that few apps so far do integrate with these devices, with the very notable absence of Adobe’s Creative Suite,” according to The Verge.